The curse of Tutankhamun was born ninety years ago today, with the untimely death of his patron and benefactor Lord Carnarvon, allegedly of an infected mosquito bite. The story of the curse started circulating immediately. Despite persistent ill-health following a near fatal car accident as a younger man, Lord Carnarvon was only in his fifties when he died on 5 April 1923. Howard Carter famously discovered Tutankhamun’s tomb on 4/5 November 1922, and Lord Carnarvon was there to enter it with him for the first time three weeks later. The story of the pharaoh’s curse that ‘death shall come on swift wings to those who enter this place’ took hold immediately. Here’s a link to an article explaining a bit more. Mummy’s curse. As a matter of chance, today I visited Howard Carter’s house on the West Bank of the Nile, at the entrance to the Valley of the Kings. It’s a hugely atmospheric place, now open as a museum. 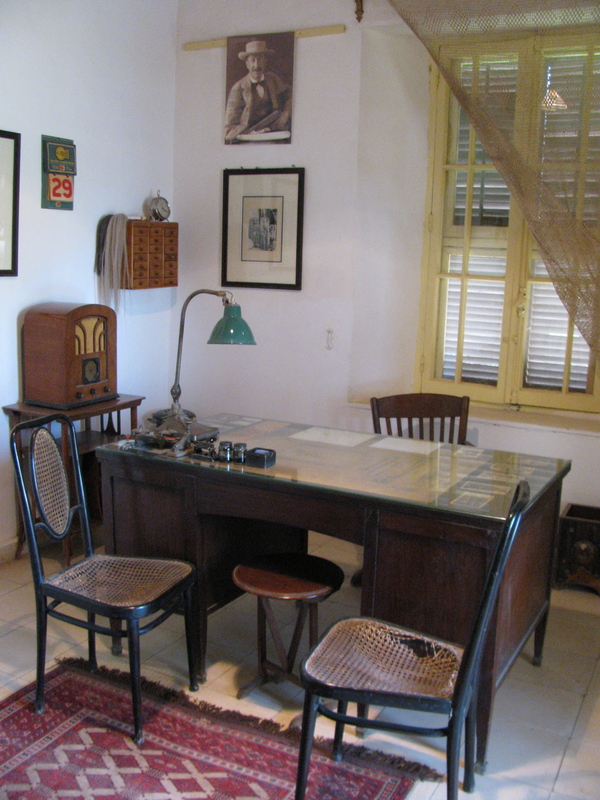 It was very evocative for me to be back in Howard Carter’s house, as this is the setting for the opening scene of my first book, Carter’s Conundrums. Merry discovers she’s been inadvertently trapped there for the night. It’s the start of a thrilling adventure. Trying to escape, she smashes the picture frame of a watercolour painting by Carter … only to find a secret message and some mysterious hieroglyphics inside. It sets her off on a quest to solve the puzzle she’s been presented. Here’s a photograph I took this morning showing Howard Carter’s study – this is the window Merry attempts to escape through, and a replacement for the lamp she smashed ! 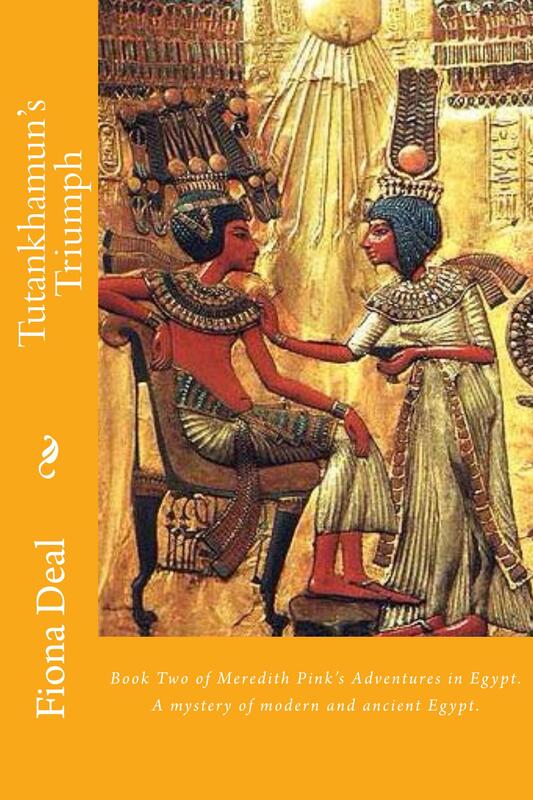 I also made use of the story of the pharaoh’s curse in my second book, Tutankhamun’s Triumph. Everywhere you look in this ancient land of the Pharaohs there’s something to inspire the imagination. Tonight I will raise a glass to toast the memory of Lord Carnarvon, and the ‘wonderful things’ he and Howard Carter discovered for the modern world. Posted on April 5, 2013 by Fiona Deal. 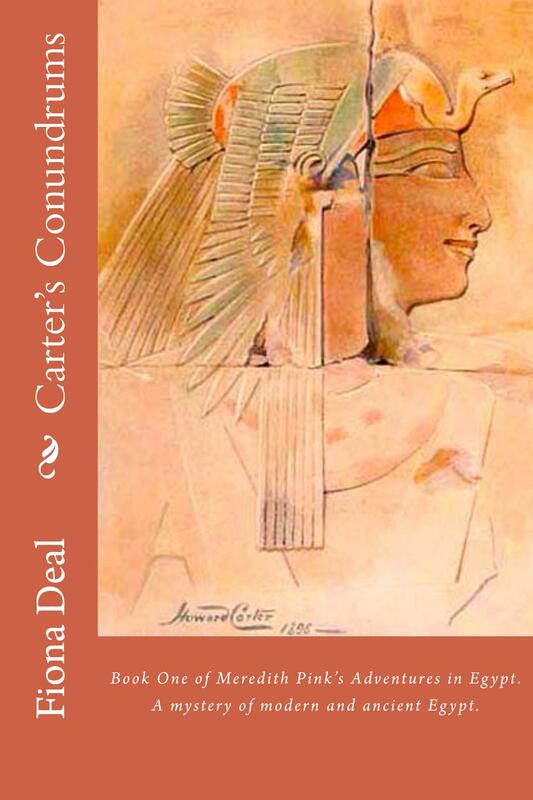 This entry was posted in ancient Egypt, Egypt, egyptian fiction and tagged Carter, Curse of the pharaohs, egypt, George Herbert 5th Earl of Carnarvon, Howard Carter, Lord Carnarvon, Tutankhamun, Valley of the Kings. Bookmark the permalink.